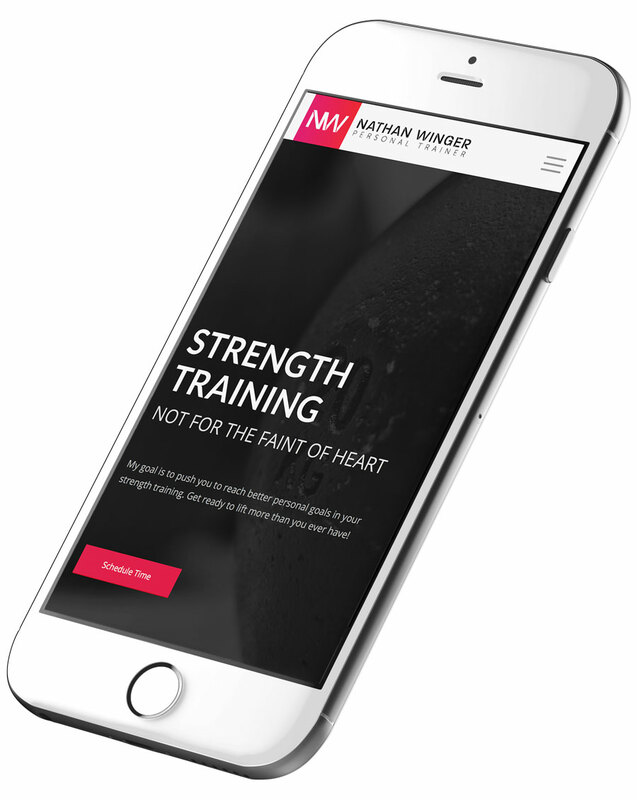 We had the wonderful opportunity to help Nathan, a new personal trainer, develop a strong brand image and marketing strategy for his upcoming launch. The project was quick, but included the team creating a new logo, selecting a color scheme & unique typography, and designing & developing a website. The timeline for the project was just two weeks so it could be launched before the New Year. The project required new logo creation, color scheme development, and selection of typography. Website development was for one scroll page, mobile optimized, with an easy sign up form for new customers. The overall project was given a total timeframe of less than two weeks from start to finish. Much like any young start-up company, resources and cash flow were limited to the essential items. Nathan wanted to create a brand image that represented the quality and expertise of working with him, but he simply couldn't justify spending over $1,000.00 for a new logo and website at that time. The website was built using WordPress to keep costs down. With WordPress, he is now able to customize his website and make revisions when necessary. Nathan was involved in the logo design process, which allowed us to complete the new logo in just two days. Photography was selected from various royalty free sites to reduce the cost of imagery. After all of our hard work, we were able to complete his project on time and under budget! All of our website projects are designed to maximize the user experience and accomplish the goals of our clients. This includes building the website using a responsive WordPress theme to display correctly on any size device. 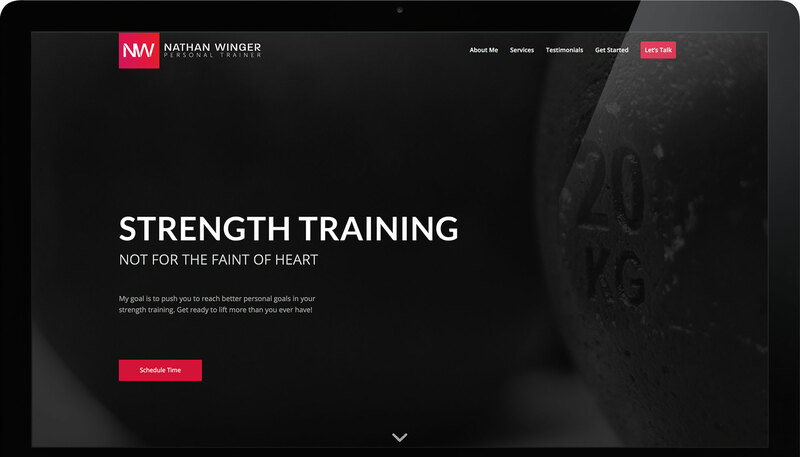 Additionally, all of the content on the website was chosen carefully to speak directly to our client's chosen target market, while also highlighting each item that makes Nathan so unique in the powerlifting community. This project included brand development and with every brand development we strive to create a unique and personalized image for our client. The goal for our team was to create an image that would represent a fresh, new, and exciting personal training experience, while also representing energy and action. To do this, we opted to use a sharp typography and ultimately decided, with the client, to put the logo in a gradient square to display even more color and energy for the new website experience. ©copyright 2018 - Sales and Marketing Inc.